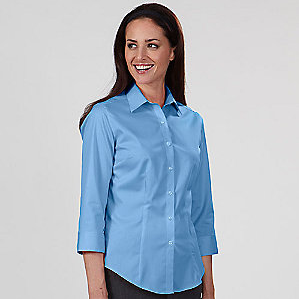 With a touch of Spandex for enhanced movement, this poplin style stretches and moves with you as you go about your work day. Vibrant color makes it a go-to choice for today's business needs. 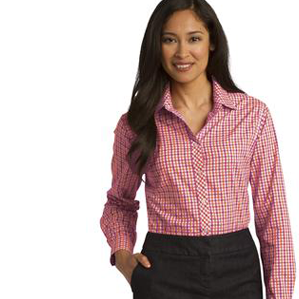 A fine stripe pattern and stretchable blend make this modern poplin shirt a true workplace asset. Bias-cut details accentuate this always-professional look. 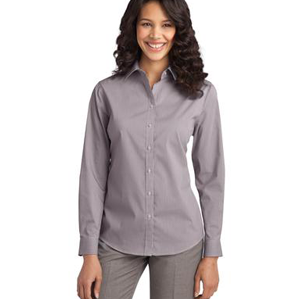 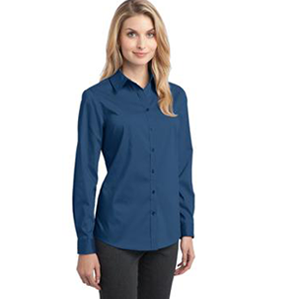 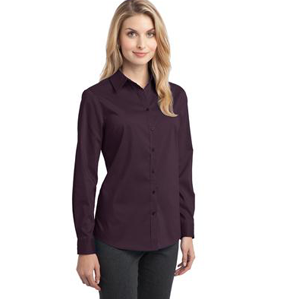 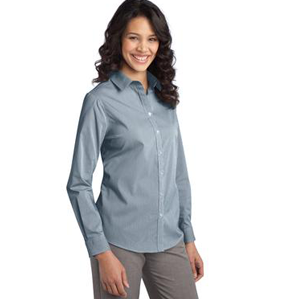 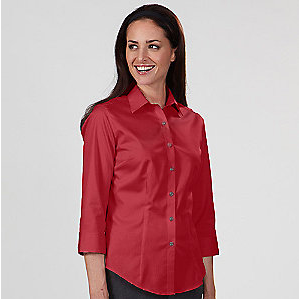 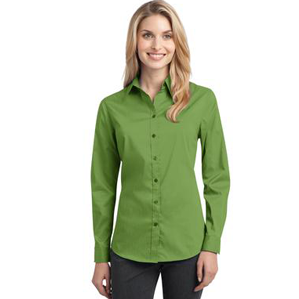 Our wrinkle-resistant shirt is a cut above the competition so you and your staff can be, too. 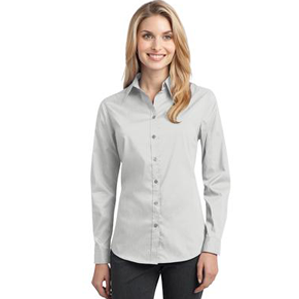 A comfortable, wash-and-wear shirt that's indispensable for the workday. Long sleeve shirt in all 27 colors. 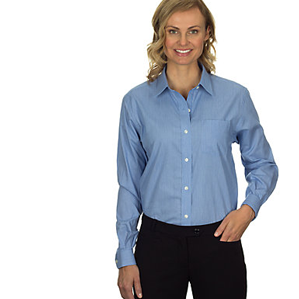 Light Stone and Classic Navy have contrasting inside collar band. 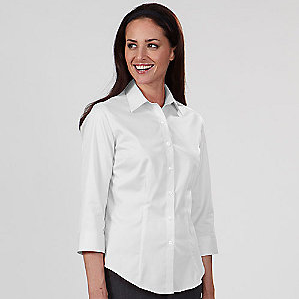 #00L608M - Available in Maternity in White, Black, and Mediterranean Blue! Short sleeve shirt in the same style as the long sleeve #00L608 and in the same 27 colors. 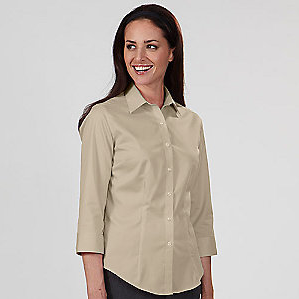 A blouse this chic shouldn't stay in the office all day. Crisp tailoring and an irresistibly feminine shape give it professional grace, but a fun side, too.